The City of Alexandria is located in Northern Virginia and is bordered by the District of Columbia (Potomac River), Arlington and Fairfax counties. With a population of approximately 150,000 and a land area of 15.5 square miles, Alexandria is the seventh largest city in the Commonwealth of Virginia. Alexandria has a charming waterfront and is a unique and historic place to live and work. About one-quarter of the City's square miles have been designated as a national or local historic district. We proudly embrace our rich history and seize the endless opportunities that lie ahead. If you are interested in working for the vibrant City of Alexandria, we invite qualified candidates to apply for our Deputy Sheriff I position. The Alexandria Sheriff's Office in the City of Alexandria, Virginia, offers a challenging opportunity in corrections and law enforcement. Deputy Sheriffs primarily work in a direct supervision Detention Center housing approximately 450 adult inmates. Deputy Sheriffs manage inmate living units, handle inmate discipline, respond to inmate requests, supervise inmates, and resolve inmates problems. Other responsibilities of Deputy Sheriffs outside the Detention Center include service of court papers; warrant execution, courthouse/courtroom security, and prisoner transportation. Integrity â€“ The Alexandria Sheriff's Office believes that integrity is central to everything we do and is key to maintaining the trust of our citizens, colleagues and criminal justice partners. Respect â€“ We protect the dignity of others and value human life above all else. Excellence â€“ We strive to do the best we can in everything we do. Accountability - We are accountable to our colleagues and the citizens we serve, who are the source of our considerable authority. The ability to work a 12 hour shift, during daytime or nighttime hours and during weekdays, weekends and holidays. Be physically fit. Applicants may be scheduled for a complete medical exam before being cleared by a physician to perform the duties required of a Deputy Sheriff. You will need to be flexible. There are occasions when you may be called in to report for work early or stay after your normal shift has ended. Newly hired deputies will be assigned to work inside the jail supervising male and female inmates who are committed to the jail for a variety of criminal offenses and for varying lengths of time. You will need to be a team player and have excellent communication and problem solving skills. You will need to be able to adapt to rapidly changing situations and may need to use physical force to protect inmates or other staff from injury or death. All Part-Time Deputy Sheriffs may be assigned to duties in the William G. Truesdale Adult Detention Center on a 12 hour shift of either days or nights or duties at the Alexandria Courthouse on an 8 hour day shift as needed. Part-Time Deputy Sheriff's may work no more that 1500 hours per calendar year. Monitor and control ingress and egress onto the Public Safety Center grounds. 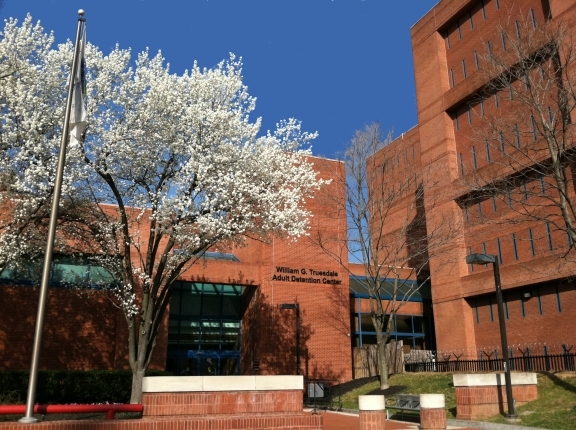 The Alexandria Sheriff's Office is responsible for the operation of the William G. Truesdale Adult Detention Center, security of the Alexandria Courthouse, service of court legal documents, execution of court orders, transportation of prisoners, and general public safety and law enforcement. The Sheriff's Office is accredited by the American Correctional Association, National Commission on Correctional Health Care, and the Commission on Accreditation for Law Enforcement Agencies.